Remember when you would roll your holiday essentials into a suitcase the day before boarding the plane? Perhaps you had a packing list, but with only yourself to think of and a few basic rules to consider (leave the easily wrinkled fabrics at home; keep a change of clothes in your carry-on; don’t forget the face wipes), life may have been simpler. Travelling with family, especially with young children, can be a totally different story however. And with a few extra backpacks to fill, planning is crucial. That’s why we’re here to help. Follow the packing tips ahead for a perfectly prepared trip with your tribe. Perhaps the most important of all packing tips is preparation. Once upon a time, pre-travel procrastinating might have been okay. So you brought a bit too much with you on your holiday because it was too hard to decide which shorts to bring or how many sneakers you’d need. You just jumbled it all in your bag because you knew you could sort it out over the long-haul flight, or when you landed on the other side. With kiddos demanding your attention and, especially with young children, needing to keep some semblance of a routine while you’re away, it’ll save you a lot of stress if everything is neatly organised well before you reach the terminal, and definitely before you arrive. 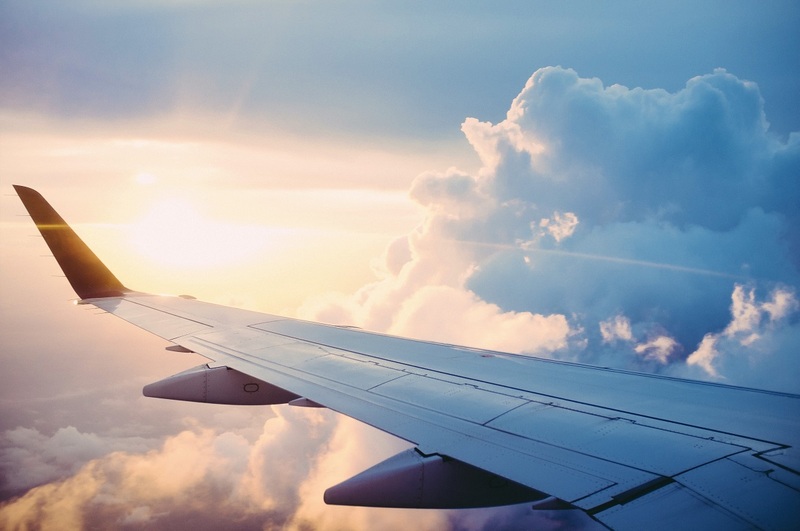 Starting the process a week or two in advance – and having a packing checklist in your arsenal – is your best bet to ensure you step onto that plane feeling cool, calm and collected. First, check the 10-day forecast of your destination. From there, zoom in a little – do you have certain activities locked into your itinerary? If so, whip out a notepad and pen and jot down a day-by-day plan. Then use that forecast to build an idea of what you may – and may not – need to pop in your suitcase. Excel spreadsheets can also be excellent for this purpose – include details such as where you’ll be, anticipated weather and what you’ll be doing, and you’ll soon see what items to put on your packing checklist. There’s nothing like staring at empty bags and various piles of clothes, toiletries, shoes and toys and wondering where to possibly start to make one feel overwhelmed. As with any big task, it’s best to break it down into manageable pieces. Begin with the basics, including socks, underwear and outfits for each person. Be ready for every kind of weather – that means sunscreen, hats, rain-protective gear and warm layers, depending on your destination and the insights your research provides. As part of your preparation, consider any issues you might run into along the way – medical supplies such as paracetamol, electrolyte powders and tablets, Band-Aids, bug spray, bottles of water and wet wipes can be handy to have nearby. Finally, don’t forget the extras that will make travel more convenient and comfortable. Chargers, books, devices loaded with TV shows and games, puzzles, and writing and drawing utensils are essential to keep kids (big and small) occupied during those lengthy transits and when you want to enjoy some downtime. All of that said it’s important not to go overboard, as you don’t want to end up hauling monster-sized luggage across continents. That’s where planning and doing your research are going to save you because you’ll have worked out a concise, considered list of what you need before you begin. While it’s probably best not to have your kids pack their suitcases, depending on their ages, working out a packing checklist that you can divvy up with any other adults you’re travelling with is certainly one of the most efficient packing tips to have in your arsenal. One person can be on checked-luggage duty, while the other handles the documents and packs you’ll need to keep on your person (i.e. travel wallets filled with itineraries, tickets, passports and the like, plus carry-ons containing snacks, drinks, entertainment and backup essentials). It’s easy to get carried away and over-prepare, but you’ll realise once you’ve touched down in your holiday destination that if you’ve missed something, it’s not the end of the world (unless that something is, say, your passport). If you did need it, you could probably get it where you’re going, and if you didn’t, well, it’s just one less item to lug around. Forgetting to pack something is bound to happen at least once on a family holiday; it even happens to travel bloggers. And if you do leave something behind? Relax and importantly, have fun! The one thing you can’t forget is to do is make the most of this time away with your family. Looking for another way to make planning your next family holiday that much easier? Book a Webjet holiday package and have both your flights and your accommodation taken care of in the one step. Feature image: Photo by Ross Parmly on Unsplash.